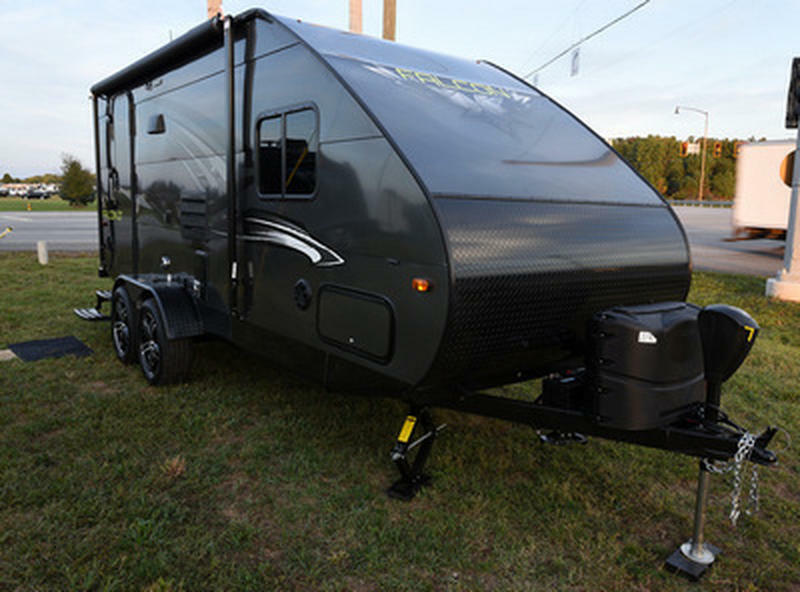 Packages and Upgrades Included with this Unit:- GT Package, 2 Additional Stabilizer Jacks, Manual Side Awning, 14" Sparae Tire w/Mounting Bracket & Cover. 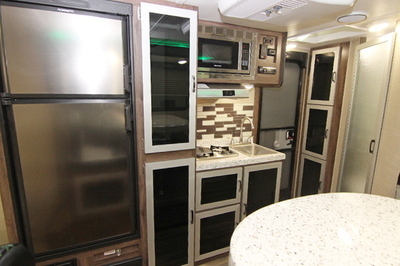 GT Package:- 13.5 BTU Air Conditioner, “Smart” Electric Tongue Jack w/Dual Batteries, LED Illuminated Entry Steps and Assist Handle, Tinted Fantastic Vent in Bath, Metalic Gun Metal Exterior in Place of Matte Black, Lighted “Travel Lite” Badge on Exterior, 6 Cu Ft Double Door Refrigerator, DSI Gas/Electric Water Heater, 32” TV w/Indoor Outdoor Mounting Brackets, Exterior Marine Grade Stereo with Upgraded Speakers,Green LED Interior Accent Lighting. 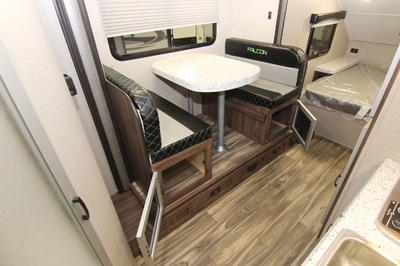 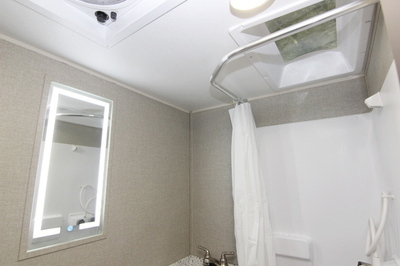 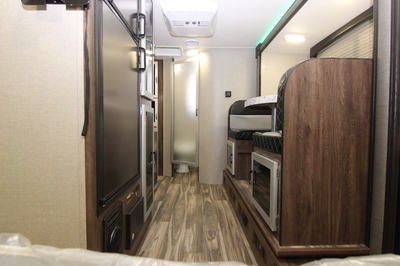 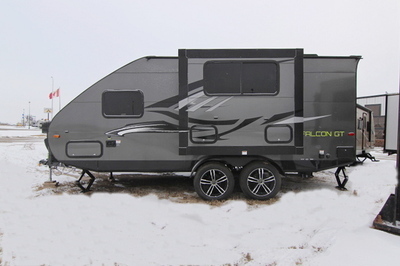 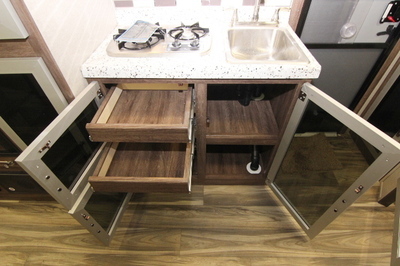 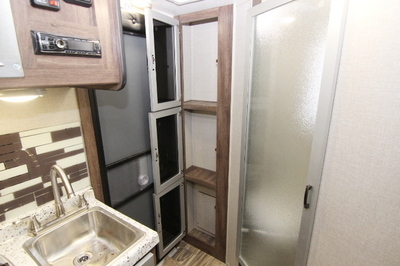 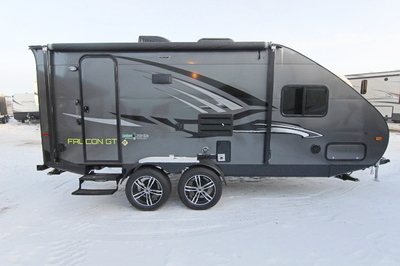 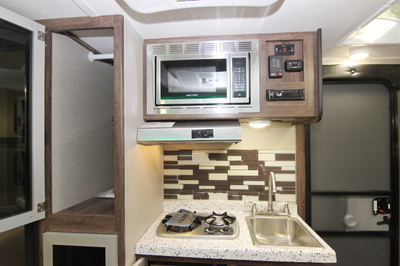 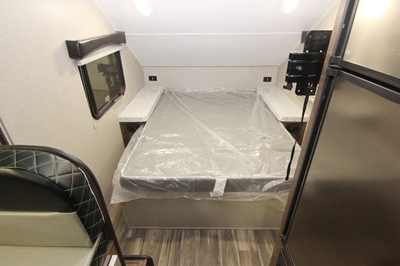 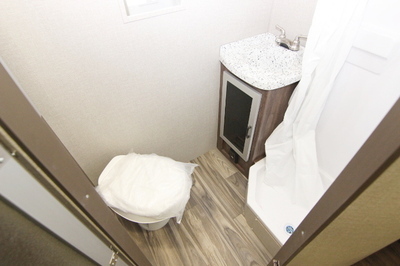 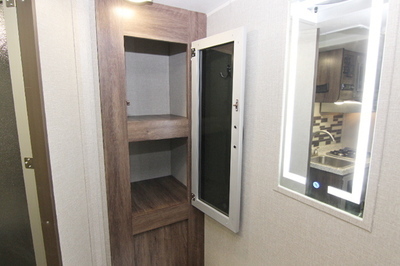 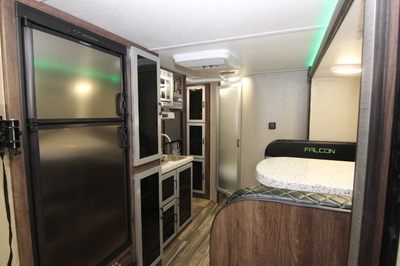 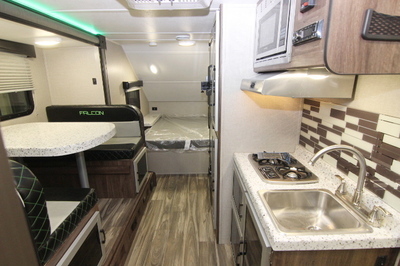 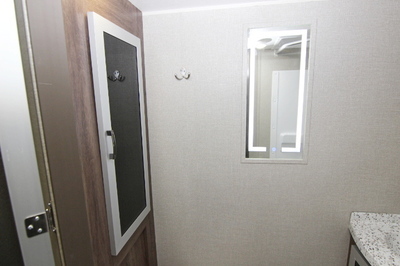 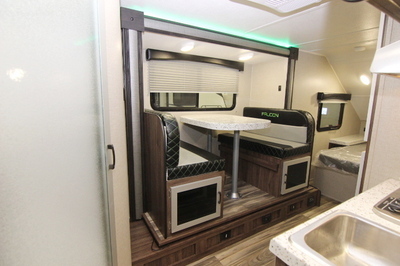 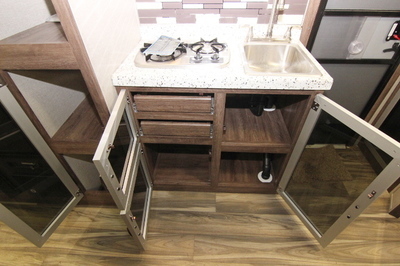 Standard Features:- .040 Smooth Aluminum Exterior, 3,650# Axles with Electric Brakes, Monitor Panel, 2 -20lb LP Tanks, Stainless Steel Microwave, Stainless Steel Kitchen Sink, Entry Door with Gas Strut, HD TV Antenna, Quilted Mattress, Moulded Fiberglass Rear Wing, 2 Burner Stove top w/Range Hood, 18,000 BTU Furnace, 5 Cubic Foot Refrigerator, Ball Bearing Drawer Glides, Spring Loaded Overhead Hinges,Scissor Stabilizer Jacks (Rear Only), Heavy Duty Entry Assist Handle, Outside Shower, Battery Disconnect Switch, Ground Effects Skirt Metal, 18” Aluminum Rims, Michelin Premier LTX Tires, LED DOT Running Lights, Aluminum Framed Cabinet Doors w/Tempered Glass Inserts, Moulded Granicote Kitchen Countertop and Table, 31 Gallon Fresh, 30 Gallon Grey and 30 Gallon Black Holding Tanks,Skylight Above Shower and Entry, 6 Gallon Gas Water Heater, AM/FM/Stereo w/Indoor-Outdoor Speakers, Bow Truss Rafters.